Imagine if you had a time machine. What would be the one item you’d want to take back to show people from the past? The most obvious choice would be your smartphone. You could show off all of your personal photos or talk about all the events that are going to happen in the next fifty years using Wikipedia. But most of all, you could share hundreds of years of music from just one device. Imagine sharing The Beatles or the music of Michael Jackson with people from the past for the very first time. Whatever adventures you decide to go on with your smartphone, be sure to get some smartphone insurance, though time traveling might not be covered! We don’t even realize it but music streaming apps and smartphones have changed our world. So what are the best music streaming apps for Android? The artists’ choice, this app has up to 180 million tracks in its library, though the free and mid-level versions only have 120 million. What makes Soundcloud unique compared to all the other apps is that it is the place where emerging talent comes to show off. Soundcloud creator lets artists upload their own compositions, track how many people are listening, and how many people have become fans. Soundcloud premier also allows popular emerging artists to monetize their work. This is great for those who don’t just love listening to chart music. It’s for those that also enjoy getting off the beaten track and finding those hidden works of musical genius before anyone else does. This app is the classic go-to for music lovers and is one of the best music apps. Its simple interface is great for those who want an easy to use experience. It has a free version and a subscription paid version. Users can like or favorite any song they hear and access it as well as create playlists for when they are on the go. There is also a discover weekly playlist which introduces you to new music based upon your listening habits thus far. A host of radio stations curated by Spotify allows users to listen to a sample of music from different tastes, genres, and moods. Spotify also recently bought Parcast, a podcast production company so users of Spotify can expect to enjoy audio content much more varied than music in the coming months and years. The drawback to using the free version of the app, however, is the fact that you can only use shuffle play on your playlists and radio stations of particular genres. On the free mode, you are also limited to 6 skips per hour. This can be annoying if you are a picky listener. But you can upgrade to the premium version or opt for a free trial of premium. Costing between $9.99 – $19.99 a month this service is known for being reliable, although it’s music collection is not quite as extensive as Spotify. Deezer has 30,000 radio channels to choose from and even has a partnership with Lost.FM. It has several different subscriptions to choose from including a family version with six accounts, a discounted student version, and a dedicated Hi-Fi channel. The dedicated Hi-Fi channel allows the streaming of high-quality audio – 16-bit 1,411 kbps or CD quality – from an Android phone to a Hi-Fi system. This is good for those who enjoy their high-quality music and want an alternative to a traditional set up of CDs or records clogging up their home. Of course, those who like streaming their music out loud at house parties but don’t have or need a fancy Hi-Fi system can purchase the standard versions and stream over Bluetooth speakers. There is more information here on the best Bluetooth speakers to buy in 2019. Apple’s music service, unusually for Apple, is not just exclusive to their devices. In fact, the app can be downloaded on Android phones via Google Play or their website. Apple Music has 50 million songs and plenty of suggestions on what you might want to listen to. Like all of Apple’s products and software, the Apple Music App is designed to be innovative. The original record cover is displayed on the screen. Although it has full integration with Apple’s assistant Siri and Apple’s HomePod (as you would expect), there is not yet full integration with Google Assistant or Google Home. But recently there have been hints this might happen soon. Amazon’s music streaming app is associated with their Prime service which provides next-day delivery for Amazon goods and on-demand video streaming. Users who have an Amazon account have access to 2 million songs. However, the complete library is 50 million songs and requires an additional stand-alone subscription that Prime members can get for a reduced price. The features of Amazon Music are pretty similar to other services. You can download music to listen offline and to skip songs. The ability to play any song rather than just a shuffle mode is also a key feature. Perhaps the biggest perk of Amazon Music is its integration with Amazon’s virtual assistant Alexa and Amazon’s fire stick. The integration between all of Amazon’s devices means users can walk into their homes, ask Alexa to play a song, and it will be played out loud. With an Amazon Fire Stick, the user can press the button and simply ask it to play music out loud on the television. All of this can be set up via the Alexa and Amazon Music apps on an Android phone, seamlessly switching between them. So What Are The Best Music Streaming Apps for Android? The truth is that there are so many options for the best music streaming apps for Android, and all of them are good. It just depends on what your needs are and what you are using the app for. 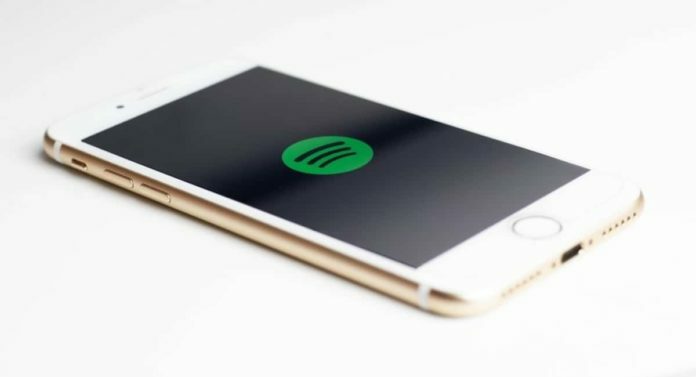 If you are a student just looking for a basic music-streaming app with a large variety of songs, then Spotify is probably your best option. However, if you already have an Amazon Prime account because you are also a movie buff, then it makes sense for you to take advantage of the 20% discount and sign up for Amazon Music. But neither of these options is going to be a good fit for you if you are looking for high quality streaming to your Hi-Fi system: instead, it would be worth paying the extra money for Deezer’s dedicated Hi-Fi service. For more articles on the best apps for your Android phone, be sure to check out our dedicated Android section on our website. Previous articleWhat is a Fiberscope and What are they Used For?